Opting for the services of an attorney requires careful consideration before taking a decision. It is more than picking some name from your phonebook or searching the ones in your area. One of your friends or relatives may recommend a name they’ve used in the past. However, there may be differences in requirements but recommendations are a good way to start the search. Gather facts and go through the details of your own legal problem by taking help of the internet. You can discuss it with those who have gone through similar circumstances. Contact the available attorney referral services based in your own state or city to find the one suited to your needs. Read the reviews given by the clients on your selected list of lawyers after their services. It consists of unbiased ratings also from the other lawyers. There are many attorneys with specialization on a particular field and the best ones have a solid reputation. You can take the advice of family lawyer, the one you know from other sources, etc. 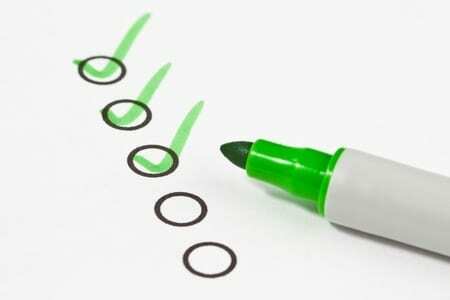 After listing down some names, make a checklist to evaluate each one of them. Consider the biographical details including the findings on this lawyer or his law firm website. Find out if the field of specialization matches your requirements. Check on the type of clients represented by the lawyer and go through his or her profile. You can also give a call in his or her office to find the rest. Use the internet to find relevant articles or any informational piece on the lawyers you’ve listed. Read the ones authored by the lawyer himself. You can also find out if the attorney participates in online charts, discussions or has a blog or not. Consult with the people who live in your area about these lawyers if they’ve heard anything or their take on these legal experts. Go through the online version of newspapers. Find out if there is any publicity on this lawyer or some cases handled by him or her. Confirm your individual requirements such as an attorney that can speak some other language than just English. After going through the above mentioned process, you’ll be able to short list some names. Make a call to this lawyer’s firm to schedule an appointment for legal consultation. There are many firms that charge a fee for an initial consultation. You could expect somewhere between $75 and $250 for the first meeting. However, there are also some firms which provide a free of cost initial consultation. Consider your own instincts and sensibilities before choosing an attorney. You may build a long term relationship with this legal expert for several years. It requires a sense of trust and comfortable working relationship between the two of you. During consultation, find out if the lawyer understands your legal problem and relevant laws. You can contact any former client of the lawyer and also consider the payment structure. Double check all the facts, figures and information you’ve collected so far and make an informed decision.